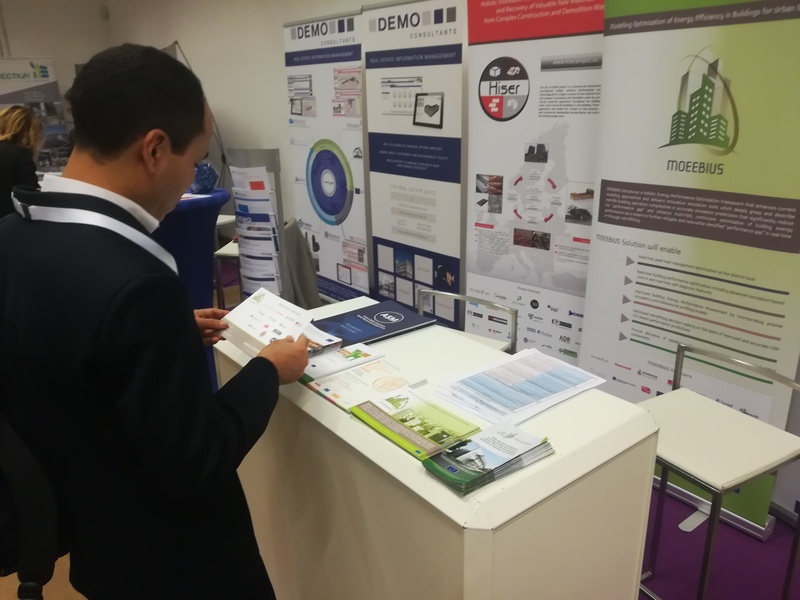 Solutions of MOEEBIUS were presented and promoted on booth run by ASM (project partner responsible for dissemination and promotion) during The European Construction, built environment and energy efficient building Technology Platform (ECTP) conference organised in November 2018 in Brussels. ECTP Conference is one of most important European events considering the issues of EU projects focused on elaborating solutions in the area of innovation, green behaviour and energy efficiency in the construction sector. 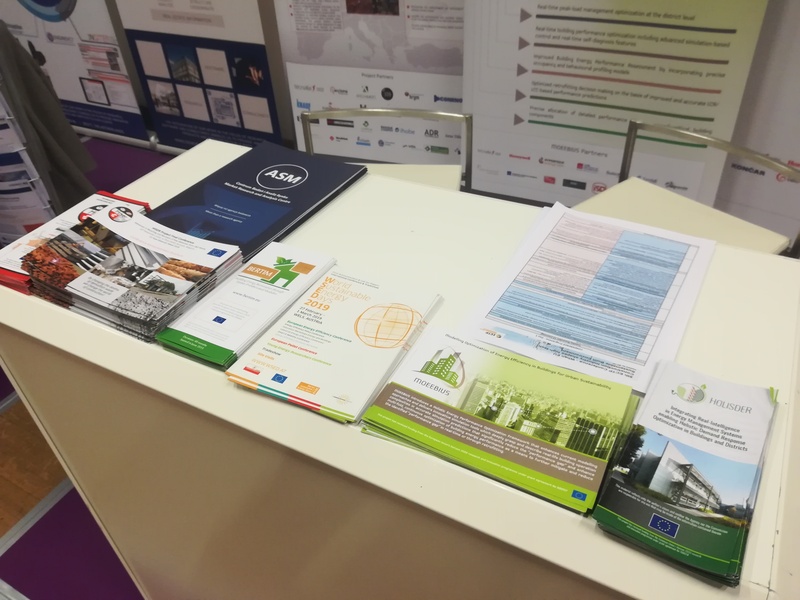 ASM was very proud to present achievements derrived not only from the MOEEBIUS project, but also from other similar ongoing projects in the area of construction innovations: HISER, BERTIM and HOLISDER. We have also invited participants to save the date for the forthcoming (February/March 2019) World Sustainable Energy Days Conference, which is going to be held in Wels, Austria. 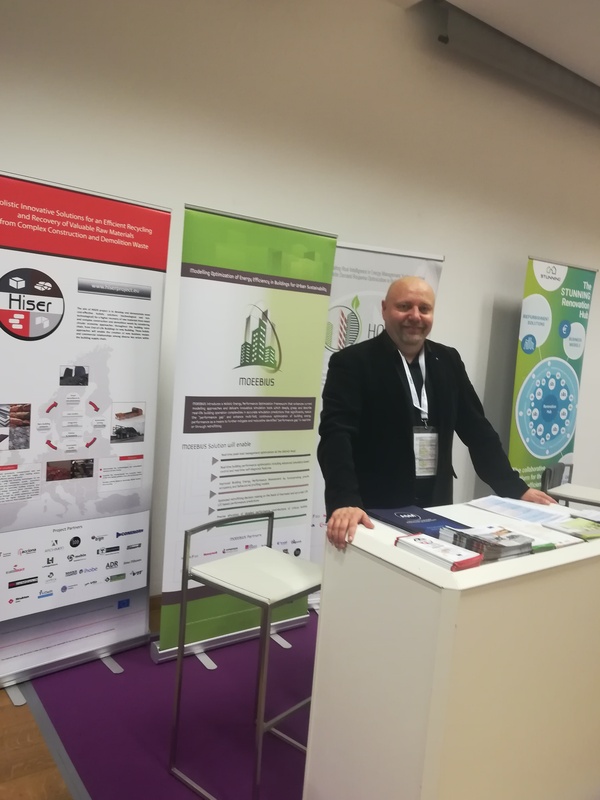 Take also a look at the website of STUNNING project which is working oninnovative packages for renovation to accelerate their acceptance by the market players and consumers and increase the renovation rate in Europe, as we promoted each other booth-to-booth during the conference. The 8th ECTP Conference took place at the Centre for Fine Arts in Brussels on November 13-14, 2018. More than 170 stakeholders from the whole construction value-chain and representatives of the European Commission shared their experience and discussed how the EU construction industry is shaping a high-tech Sustainable Built Environment. Apart from the opening session, chaired by Emmanuel Forest, CEO of Bouygues Europe and ECTP President, and Alain Zarli, ECTP Secretary General which introduced the main expectations and challenges of the built environment and the construction sector, 9 parallel sessions over the two days of the conference which covered a wide range of topics, innovation and market foresight trends had also taken place. Plenary Assemblies of the five ECTP Committees: Active Ageing & Design(AA&D), Energy Efficient Buildings (E2B), Heritage & Regeneration (H&R), Infrastructure & Mobility (I&M) and Materials & Sustainability (M&S) were also conducted in conjunction with the conference. Moreover, an exhibition area presented key results from innovative projects and organisations through booths and posters. More information on the results of the ECTP conference, links to programme, photos, the conference report is available here.